Job seekers looking for a job, they try all channels to get hired. They upload CVs on jobs portals, call friends, renew old contacts and apply on company websites. However, there is a better way—joining LinkedIn. According to a TeamLease survey, LinkedIn is the most effective way to get hired. Whether you are a fresher or between jobs and looking for a job in the current scenario, it could be a stressful experience. LinkedIn can save you from much stress. All you need is a profile which is linked to your industry groups, companies and people. LinkedIn tops the Teamlease ranking of three most effective hiring channels. Social media and employee referral programmes are the second and third-most effective hiring channels. Two main reasons behind LinkedIn’s success are its reach and visibility. 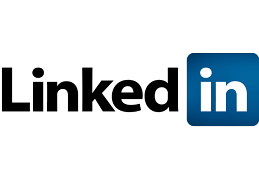 LinkedIn allows its user to create relevant connections which keep him updated about vacancies. Recruiters also find it useful as they can also access endorsements of a candidate. LinkedIn has an edge over other social media such as Facebook and Twitter because it is a social network of professionals. It is a dedicated platform for job seekers and recruiters and allows them to access each other in various ways. With more than 500 million members which include recruiters as well as job seekers, has evolved in a short time. The efficacy of social media as a hiring platform is understandable as social media has come to mirror all aspects of life these days. It is beneficial for job seekers as well as employers. While job seekers benefit from the huge presence of companies and workers, the direct access to job seekers helps companies bring down costs. In India, where the youth form a large part of the population, it's not surprising that social media is a more effective way to get hired than conventional means. After the popularity of LinkedIn, Facebook too is trying to focus on jobs. It has come out with a new feature in the US and Canada that allows recruiters/businesses to post jobs on Facebook and candidates can apply on Facebook itself. With a bigger and diverse user base, it will have a larger segment to cater. Employee referral programmes are the third most effective hiring channel, in the TeamLease ranking. One important reason could be the financial benefits to employees for successful referrals.Campus placements, company websites and job fairs are the least effective ways to get hired, according to the TeamLease survey. Campus hiring is limited in scope as it is only for freshers. The company websites are far less interactive than social media. At job fairs, popular booths are crowded and the recruiters interact with a candidate very briefly.